To meet the diverse requirements of clients, we are comprehensively engaged in offering a wide range of Allura Red. 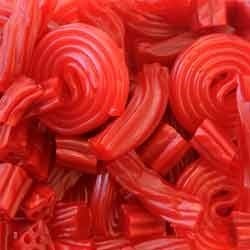 These allura red offered by us are hygienically processed utilizing supreme grade ingredients that are sourced from trusted vendors of the market. This range is ideally utilized in food dye and as a replacement for the use of amaranth as a food coloring. In addition to this, the offered range is appreciated among the clients for its color, purity and freshness for long time. Shrey Colour Chem was Established in the year 2006. We are the Leading Manufacturer, Supplier, Exporter, Retailer, Distributor and Wholesaler of Food Colours. Under this range,we are offering Brilliant Blue FCF Food Colour, Indigo Carmine Food Colour, Erythrosine Food Colour, Pea Green Food Colour, Apple Green Food Colour, Lake Food Colours, Lake Carmoisine Food Colour, Quinoline Yellow Food Colour, Sunset Yellow FCF, Chocolate Brown HT and Ponceau 4R. The offered range of food colours are processed using premium quality ingredients in compliance with the food industry laid standards & norms. Our expert professionals fabricate the entire range by employing latest machines and advance technology. The offered range of products is highly appreciated among the clients for its longer shelf life, purity, no side effects, freeness from preservatives & chemicals and safe consumption. These food colours are highly demanded in food & beverage industry, hotels, restaurants, bakeries and homes to cook various colourful dishes and drinks.